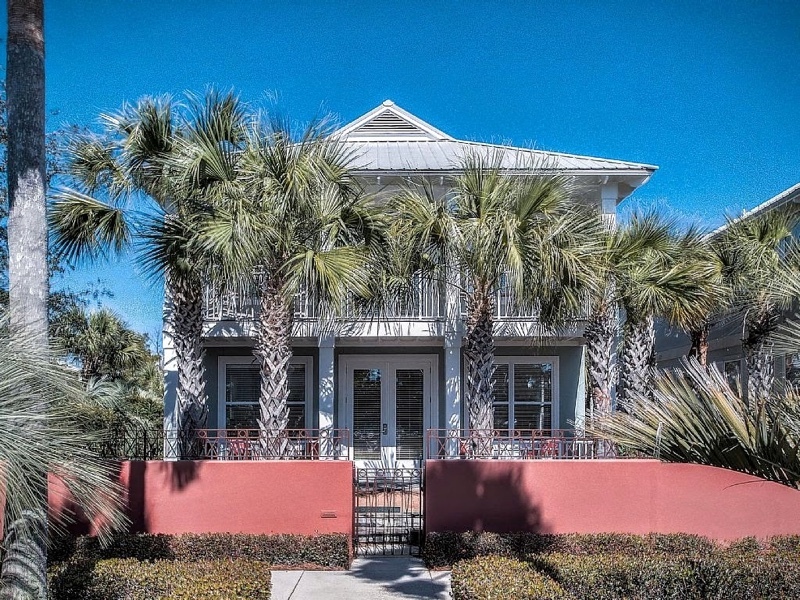 This beautiful, pool front home is a 3 bed/2 bath rental sleeping 10 guests in the highly sought-after Seacrest Beach Community, with views of the 12,000 sq ft Lagoon Pool from both the living area, back patio, and master suite! This cottage is a wonderful, family-friendly vacation rental that includes a private gate out to the pool & amphitheater area, as well as 4 personal bikes for your family’s use. Located just a short 4/10 of a mile from the gorgeous, white-sanded beaches, you’re only just a short walk, bike or trolley ride from the Gulf! This location is perfect for a wide range of events including couples retreats, family events, holidays, vacation reunions, church outings, or even friend or high school reunions. With this home, you will find wonderful amenities like a shared community pool, commercial outdoor grill, and 4 adult bikes for your enjoyment. With only a few steps separating you from the winding bike path, the whole family is sure to enjoy the 18+ mile path that stretches from Rosemary Beach, all the way to Grayton!